Primary prevention focuses on building skills in individuals that help them to avoid involvement in risk behaviors. WISH’s prevention programs focus on helping individuals grow communication skills, learn and utilize healthy coping skills, while also promoting community-wide change in social norms that tolerate problems such as intimate partner violence, substance abuse, stigma, or child abuse. WISH’s Prevention and Education department utilizes a variety of different programming to help achieve these goals. WISH’s Education and Prevention offers presentations to local schools, community agencies and the public. Presentations can be adjusted to the needs of the audience. To get more information or have a WISH staff member give a presentation at your school or agency, contact Arika Paquette at arika.p@wishak.org or call 228-4371. WISH also facilitates several extra curricular activities to teach children and teens about healthy relationships and engage adult volunteers as role models and mentors. learn more about WISH’s specific programs below. WISH staff regularly visit classrooms in the school district and present developmentally appropriate lessons on body safety. These lessons help children increase their understanding of bodily autonomy and their right to say no to any touch. We help them practice assertive refusal skills and identify safe adults in their lives who can help them if they are harmed. We can present to children as young as pre-K all the way through seniors in high school. If you are interested in having a WISH staff member do a body safety presentation in your classroom or daycare center, please contact the Program Coordinator, Arika Paquette at arika.p@wishak.org or call 228-4371. The Fourth R Program (R = Relationships) is a comprehensive school-based program designed to reduce violence, substance use, and other risk behaviors. The program is based on the premise that relationship skills are as important to learn in school as the other three R’s (Reading, wRiting, and aRithmetic). The program focuses on building healthy relationships and decision-making skills through interactive teaching methods such as role play. The Fourth R lessons provide a variety of discussion opportunities to process issues with peers and the teacher, as well as opportunities to examine individual beliefs and boundaries. In conjunction with public health, WISH facilitates 3 Rs lessons at Residential Youth Care (RYC). The 3 Rs stand for: Rights, Respect and Responsibility. This curriculum was designed by Advocates for Youth. The curriculum fully meets the National Sexuality Education Standards and seeks to address both the functional knowledge related to sexuality and the specific skills necessary to adopt healthy behaviors. Rights, Respect, Responsibility reflects the tenets of social learning theory, social cognitive theory and the social ecological model of prevention. For more information or to request lesson facilitation, contact Arika Paquette at arika.p@wishak.org or call 228-4371. WISH facilitates healthy relationship classes in the local middle schools. For one week, WISH staff engage students in activities that help students build life skills that decrease the chances they will become the victims or perpetrators of violence. These lessons apply to all relationships, including friendships, dating relationships and family relationships. These lessons support that mandates set forth in the Alaska Safe Children’s Act. This legislation requires school districts in Alaska to provide education geared toward identifying child sexual abuse and preventing teen dating violence. WISH’s lessons help students better understand what a healthy relationship looks like, how to recognize unhealthy relationships and what they can do to help themselves or their friends in dangerous or unhealthy relationships. To get more information or request lesson facilitation, contact program coordinator Arika Paquette at arika.p@wishak.org or call 228-4371. These lessons also help the school district meet the requirements of the Alaska Safe Children’s Act. GOTR’s mission is to educate and prepare girls for a lifetime of self-respect and healthy living. Using both an interactive curriculum and running, The program is designed to work with girls’ emotional, spiritual, physical, and mental health. Girls on the Run 3-5th grade and Girls on Track 6-8th grade offers a 12 week/24 lesson after-school programs addressing self-confidence, self-respect, and healthy life choices through an interactive curriculum and running. All program participants complete the program with a fun run 5K–an empowering non-competitive celebration. WISH is always looking for Coaches and Running Buddies to help with the Girls on the Run spring seasons. Coaches facilitate the lessons during the 12-week program and train with the girls to run the 5k at the end of the season. Running Buddies run with the girls during the final 5K event. For more information, including volunteer or sponsorship, contact Program Coordinator Amy Montgomery at amy.m@wishak.org or call 228-4090. Twice a week for seven weeks, two trained volunteer coaches lead an elementary or middle school team through practice. Designed to amplify confidence, self-expression, and respect for others, each practice includes a lesson from the Let Me Run curriculum that incorporates running, games and activities. Each season culminates in a 5k race festival that celebrates the boys’ personal growth. WISH is always looking for volunteers interested in coaching Let Me Run. We host a season every spring. Coaches do not need to be strong runners, they just need to come with a positive and encouraging attitude. For more information, including volunteer or sponsorship opportunities, contact Program Coordinator JD Martin at JD.M@wishak.org or call 228-4160. Lead On! For Peace and Equality is a youth leadership program. Every year we recruit local teens to attend a three day conference in Anchorage where national and local speakers give presentations on various topics, such as healthy relationships, non-violence, leadership, positive choices and community involvement. After the conference, youth return home and plan a project to impact their community in a positive way. For more information contact Program Coordinator Amy Montgomery at amy.m@wishak.org or call 228-4090. Athletic coaches play an extremely influential and unique role in the lives of young men. Because of these relationships, coaches are poised to positively influence how young men think and behave, both on and off the field. Coaching Boys Into Men (CBIM) is the only evidence-based prevention program that trains and motivates high school coaches to teach their young male athletes healthy relationship skills and that violence never equals strength. As leaders themselves, athletes are given the tools and vocabulary they need to stand up for respect and influence their school’s culture. WISH offers training and support to local high school coaches who want to utilize this program in their practices. For more information, contact program coordinator Amy Montgomery at amy.m@wishak.org or call 228-4090. Athletes as Leaders is the female compliment to the Coaching Boys into Men program. This program aims to empower female-identified youth to take an active role in promoting healthy relationships and ending sexual violence. Athletes are encouraged to be leaders in changing social norms at the school to a culture of safety and respect. WISH staff can facilitate this program or support coaches or school staff who wish to facilitate it with female high school athletes. Have you ever seen something happening that you were concerned about, but felt too uncomfortable or unsure of how to intervene? You are not alone. 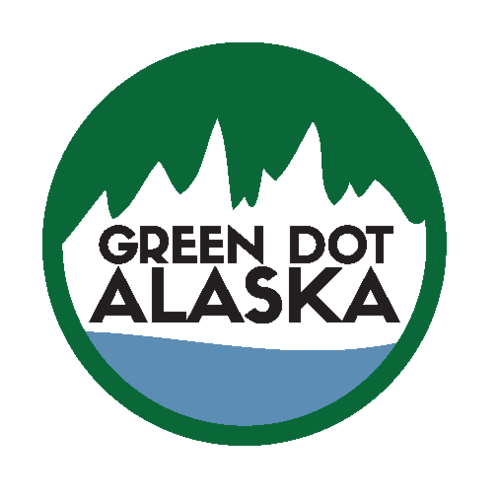 WISH is excited to bring the Green Dot Alaska bystander intervention training to Ketchikan. Learn about personal barriers to intervention, how to intervene using the 3 D’s, and simple ways to change the community culture to one that does not accept violence! These skills can be used to combat isolation, stigma, interpersonal violence, community violence, and in many more situations in ways that you are comfortable with. WISH facilitates the "History & Hope" curriculum, which was created by the Alaska Resilience Initiative. This training introduces the audience to the adverse childhood experiences study, and addresses the question "Why are adverse childhood experiences so adverse, and what can we do about it?" Bringing together Alaska Native ancestral knowledge of trauma and resilience; the sciences of neurobiology, physiology, and epigenetics; data on social and economic stressors affecting Alaskan families; simple brain-body healing exercises; and promising practices in education and early childhood settings, this presentation provides an introduction to how trauma-informed, culturally-responsive approaches in healthcare and education can help shift our most pressing health and social problems. You can view a preview here. Tailored, in-person trainings available from a cohort of experienced trainers, and can include social work contact hours. For training in Ketchikan contact Arika Paquette at arika.p@wishak.org or call 228-4371. 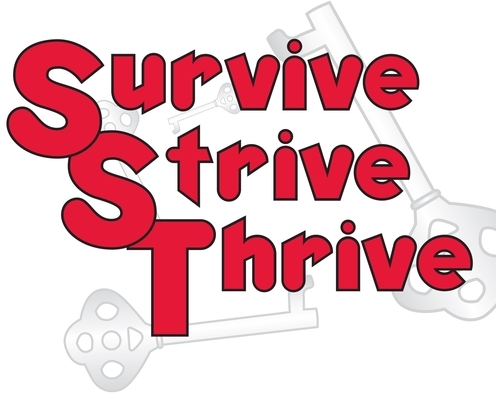 Utilizing the University of Nebraska’s “Survive, Strive, Thrive” curriculum, WISH facilitates healthy relationship classes for adults in the Ketchikan Correctional Center. These classes provide interactive lessons in which participants learn about consent, healthy boundaries, communication, resolving conflict, forgiveness, commitment and trust. For more information, contact program coordinator JD Martin at JD.M@wishak.org or call 228-4160.